Ding, ding! The bell clanged brightly seven times. 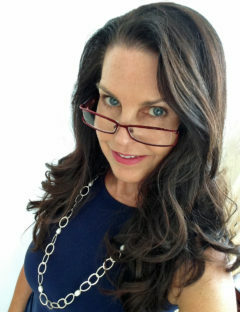 Sitting near the resort’s fireplace, guests clinked cocktail glasses and smiled, while four ladies playing dominoes at a table outside set down their tiles and looked toward the lodge. Beyond them, the gentle splash of Oak Creek offered a refreshing backdrop. Earlier, the flowers—irises, coreopses, lilies and poppies—were bathed in golden light as the canyon walls burned with the sun’s last fiery rays. In this respite between afternoon tea and drinks before dinner, time had hung complacent. Now, the bell summoned all from their cabins or from a stroll through the apple grove to enjoy a spectacular four-course meal at Orchard Canyon on Oak Creek Restaurant. Folks ambled toward the century-old lodge—originally a miner’s retreat—bearing a stone and log façade. Windows glowed warmly and carefree conversation spilled across an expansive lawn. Upon entering the restaurant, the tang of earth and woods were exchanged for the rich scent of garlic and roast meat, drawing diners to tables where friendships would soon bloom. Maitre d’Hotel Michael Stober arranges the nightly seating. The stone fireplace soars as the dining room’s centerpiece. Rough wood braces and paneling rekindle rustic beginnings. Pierced tin chandelier shades and Tiffany lamps complete the enduring effect. The Todds built the property in 1902 before Gary and Mary Garland cultivated the land as a resort for nearly five decades. Their name remained with the business for two transition years before Garland’s Oak Creek Lodge rebranded as Orchard Canyon on Oak Creek in 2017. Preserving the cherished landmark and its beautiful food was paramount. 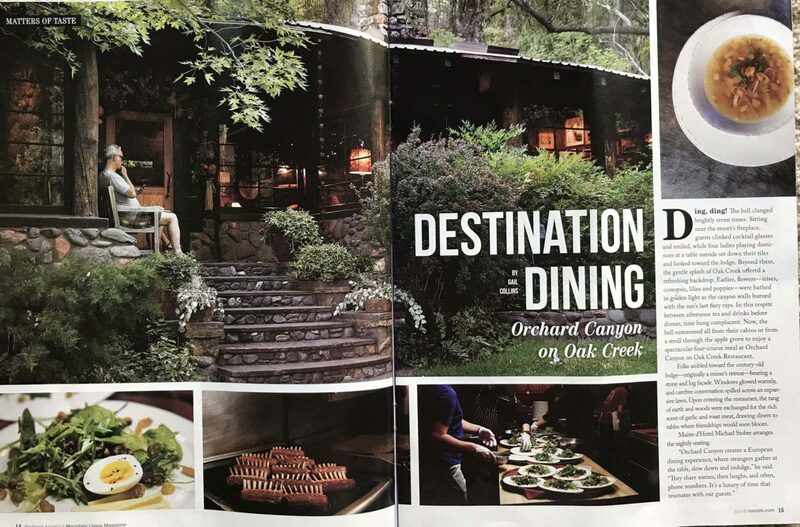 It succeeded; USA Today listed Orchard Canyon as a Top 10 Best Restaurant. Seventeen bungalows are scattered over 10 lush acres, luring guests to the tranquil setting for many reasons. Some marry there, and others return regularly to celebrate the date. Dr. Rog Jenkins and his wife Dottie came from Prescott to mark 36 years of marriage as they have for a dozen previous anniversaries. After hiking Sedona or slipping down Slide Rock, Orchard Canyon gathers guests at 4:00 p.m. for afternoon tea.